There is a national target that ‘Category A’ 999 calls – those for immediately life threatening conditions – will be responded to within 8 minutes for 75% of people. This doesn’t mean that every single person, even in the most remote areas, can expect an ambulance within 8 minutes every time – but the view of successive governments has been that 75% in 8 minutes is realistic, and that most people, most of the time, should be reached by an ambulance quickly when they’re at immediate risk of dying. Not in Shropshire, apparently. 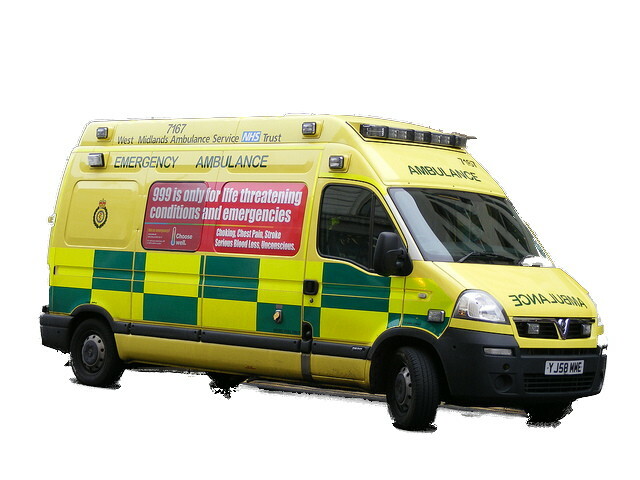 Shropshire CCG considered a report on ambulance response times at its Board meeting on 24th September1. The Board heard that the ambulance service was still failing to meet the national target, as it has been for a long time. They dismissed increased funding of the ambulance service as ‘unaffordable within current resources’. They agreed that the solution to failing to meet a national target was to opt out of the national system and abandon the target. A revised target seems to be the one outlined by Julie Davies, Director of Strategy and Service Redesign. She said that the CCG would aim for a situation where no one would wait more than an hour for an ambulance to arrive in response to a 999 call, and this was the target discussed and agreed by the CCG Board.